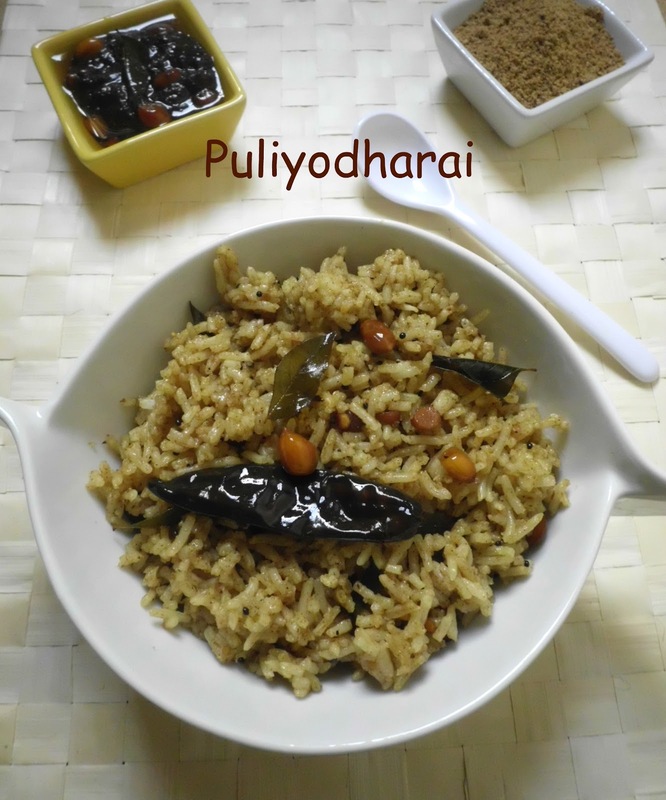 Puliyodarai (or) Puli sadam is one of the famous and fabulous rice dish prepared in South india. In temple's, after the ritual worship, all the devotees are served with this rice as prasadam. The taste and the aroma is definitely unique from the way we prepare at home, but somehow I have managed to come near to that recipe. 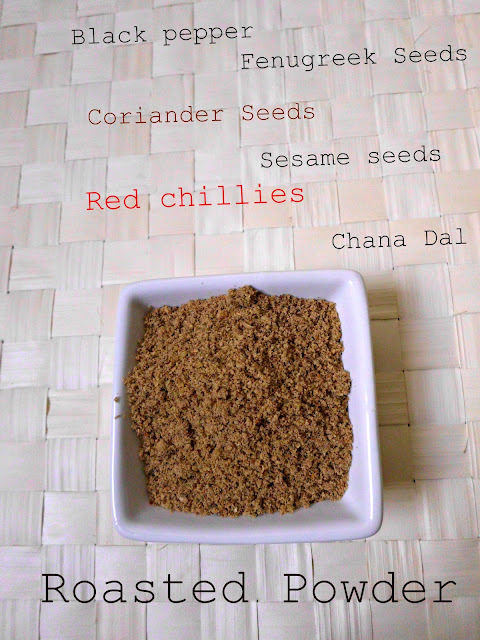 Roasted powder, this is the main ingredient that gives you a nice flavor to the rice, first start preparing this powder, and then followed by the pulikachal - A thick paste made of tamarind. Heat a pan, add sesame seeds, when they start spluttering ,take off from heat. Heat oil in the same pan, fry all the above said ingredients one by one. 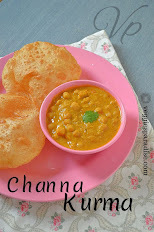 First add the chana dal, when they turn golden brown remove it and keep it aside. Add coriander seeds and black pepper and fry them well .Keep it aside. Add red chillies and fry it . Finally add fenugreek seeds and fry it. Care should be taken while frying both sesame seeds and fenugreek seeds, keep the flame very low as they tend to burn quickly. Add curry leaves ,red chillies , roasted peanuts and asafoetida and saute it for a min. Now pour the tamarind extract carefully, add turmeric powder and salt . Cover and cook until the oil begins to seperate. How to mix it with rice. Add little sesame oil to the cooked rice, allow it to cool. Finally sprinkle the roasted powder on top . 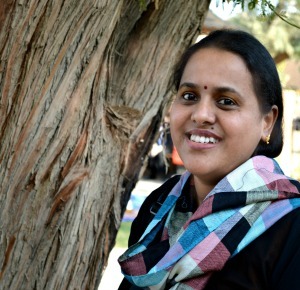 You can store both the powder and pulikachal, but the shell life for pulikachal is for 20 days. Sprinkling the roasted powder on top gives a nice aroma to the rice, so don't skip this. Bookmarked , loved the powder recipe. i also make the paste and store....whenever required i will mix it with rice...yummy rice n perfect for lunchbox! 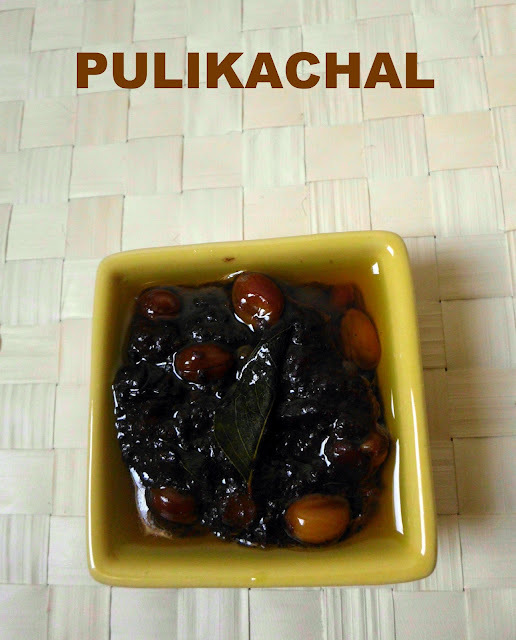 The pulikachal picture looks so good, one of my favorite mixed rices..
sounds too good, love it anytime! Now feeling very tempted to have it! Both the recipes are very interesting and I am sure it will add delicious flavor and taste to the rice! A must try for me! My all time fav. Looks so good. This is a flavorful rice which all the south Indian would relish! So am I. YUM! This is my all time favorite !! looks very tasty !! Don't know whats happening but I am looking at a lot of puli based recipes and yours tops it all. I love puli sadam and I have never tried to make it from scratch. Looks delicious.Nice ! so flavorful and yummy recipe...rice looks more tempting!! One of my favorite South Indian rice! My favorite rice !! Love your homey preparation !! Thats such a delicious and tangy rice. I liked your Puliyodharai mix, it's quite different from what I make. You can send this to my new event. pulikachal looks too good! Nice recipe! This is my favorite rice. Thanks for sharing .. Very traditional recipe and my favorite too. Slurp.....my favorite puliyodarai...the perfect recipe! This is an all-time favourite. Will make this powder right away. This recipe is bookmarked. I love the flavors in this one..!